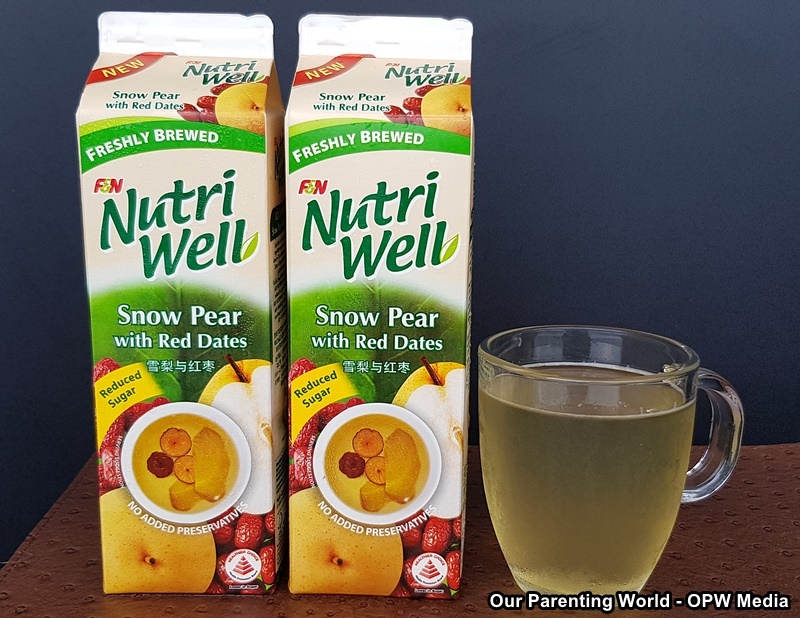 The all-new refreshing F&N NutriWell Snow Pear with Red Dates 雪梨与红枣 is the latest addition to F&N NutriWell’s range of traditional Asian goodness freshly brewed with natural ingredients to promote and restore balance in the body. The two key ingredients in this delightful, refreshing drink consist of Snow Pear and Red Dates. The juicy and crunchy snow pear is often used to make Chinese desserts that is good for health. It is rich in fibre, antioxidants like Vitamin C and K and pectin. It is good for promoting overall skin health, contains arbutin that slows down melanin in skin and acts as a natural skin-whitening agent. Red Dates commonly known as jujube is rich in essential vitamins and minerals that is good for our body. It has a high lutein content that removes free radicals in the body, contains natural anti-depressant by supporting mental agility and improves the quality of sleep. Enjoy the goodness of the drink as it is freshly brewed, it has no added preservatives, no colouring, cholesterol-free, contains 25% less sugar compared to regular sweetened drinks and is a Healthier Choice product. With so many health benefits, stock up this delicious F&N NutriWell Snow Pear with Red Dates today! F&N NutriWell Snow Pear with Red Dates is available in 1-litre and 475ml packs, retailing at a Recommended Selling Price (RSP) of S$2.25 and S$1.50 respectively at leading supermarkets, hypermarkets and participating retail outlets.